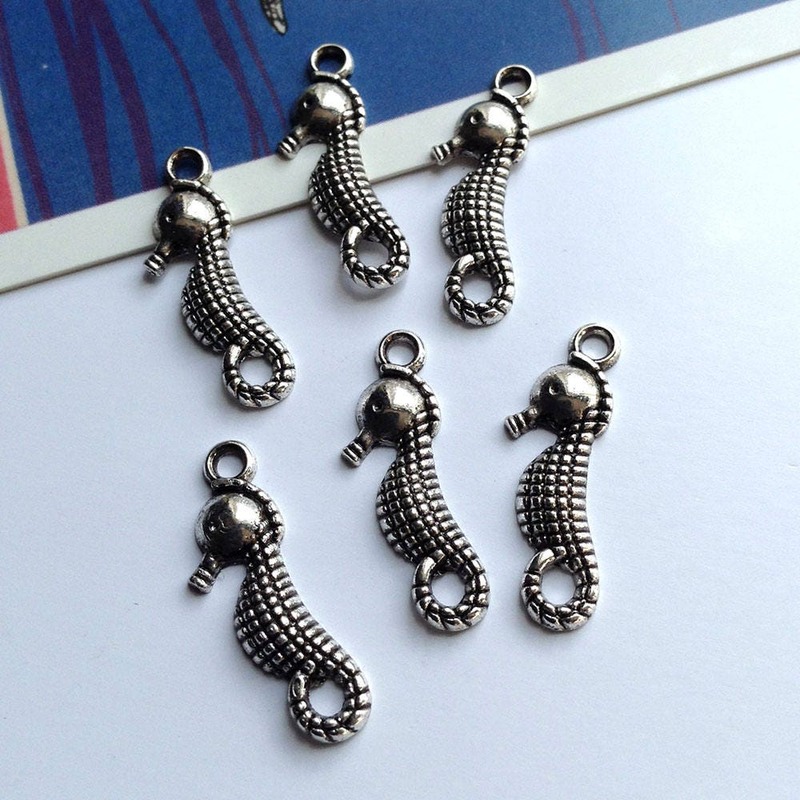 6 antiqued silver tone metal seahorse charms. 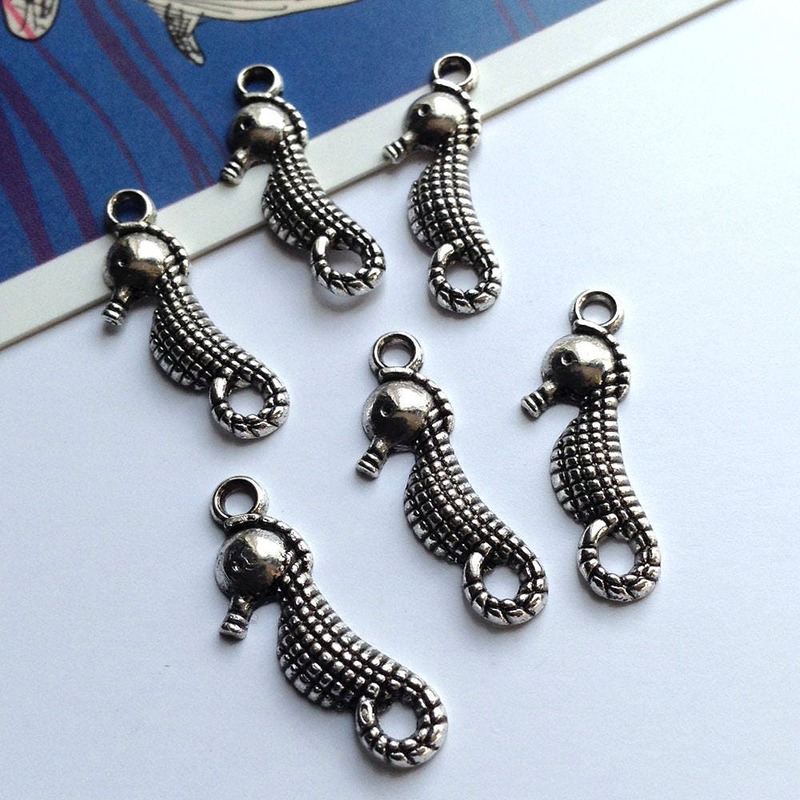 These cute underwater creatures are perfect for using in anything with a seaside, nautical or summer beach vacation theme. 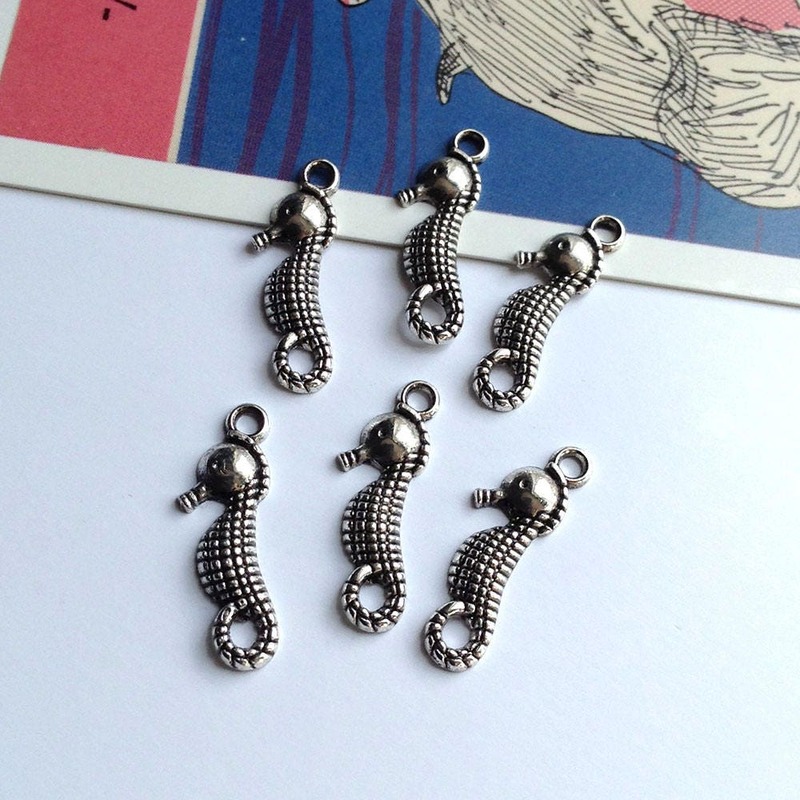 Detailed fronts and concave backs.